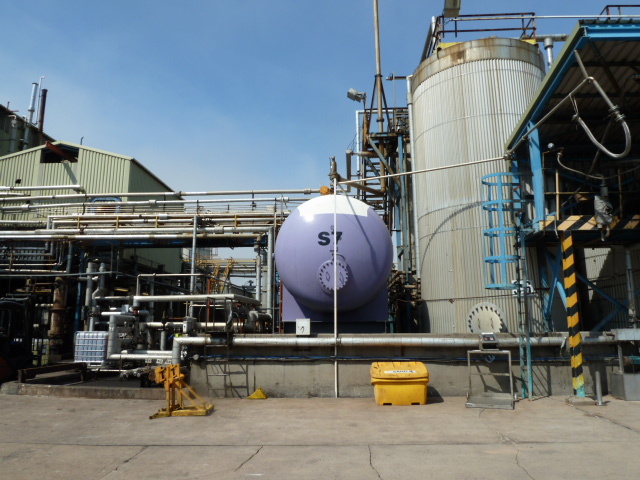 Pentagon is one of the largest independent manufacturers of fine and speciality chemicals in the UK, operating from two production sites in Workington & Halebank. Pentagon needed to increase its on-site storage capacity of Maleic Anhydride (MA) and remove the dependence on the existing temporary MA storage facilities. This project was undertaken to reduce the risk of inadequate material supply to the business. Haden Freeman provided the front-end engineering design for the project and was subsequently awarded the detailed design and construction phases. 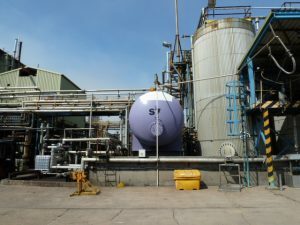 The work included full multidisciplinary services and was completed to time and budget which was achieved whilst keeping the plant on full production. Haden Freeman’s construction team managed the site in the PC role and no lost time accidents were reported. Pentagon has greatly reduced the risk of lost production time by replacing an area of plant that had been installed as a temporary measure 20 years ago with a new purpose built system, providing more capacity, greater reliability and a better level of safety.